The Honolulu Museum of Art wants to thank active-duty military personnel for their service by offering them and their families free admission throughout the summer from May 29 to September 2. Additionally, our Museum Shop offers 10 percent off! The free admission program is open to those with a Geneva Convention common access card (CAC), a DD Form 1173 ID card (dependent ID), or a DD Form 1173-1 ID card, which includes active-duty military in the Army, Navy, Air Force, Marines, Coast Guard, as well as members of the National Guard and Reserve, U.S. Public Health Service Commissioned Corps, NOAA Commissioned Corps. Up to five family members can join in on the offer. Just show your ID at our front desk to redeem. 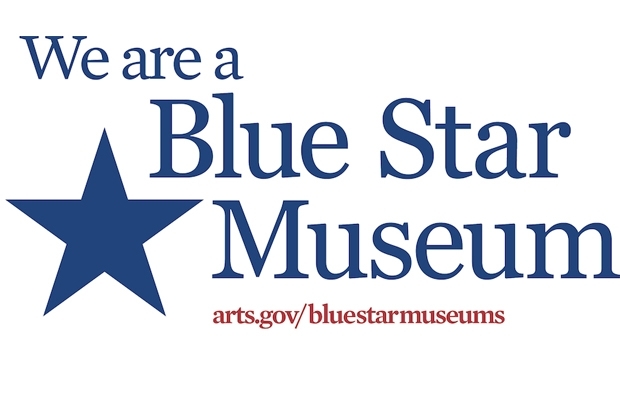 The museum extends this invitation as a participant of Blue Star Museum, which is a collaboration between the National Endowments for the Arts, Blue Star Families and the Department of Defense. This is the eighth year for the collaboration, and this time, over 2,000 museums across the world—and across all areas of interest—are taking part. Last year, more than 900,000 military members and their families took advantage of the offer—and hopefully made lifelong memories in the process. “As many military families spend the summer months moving from one duty station to another, or reconnecting with a parent who has returned from deployment, Blue Star Museums helps service members and their families create memories,” said Blue Star Families Chief Executive Officer Kathy Roth-Douquet in a National Endowment for the Arts press release.